Hand Pallet Truck - Products - SINOLIFT MATERIAL HANDLING EQUIPMENT CORP.
Hand pallet truck is a kind of hand-powered material handling equipment that can lift, carry and put down goods. 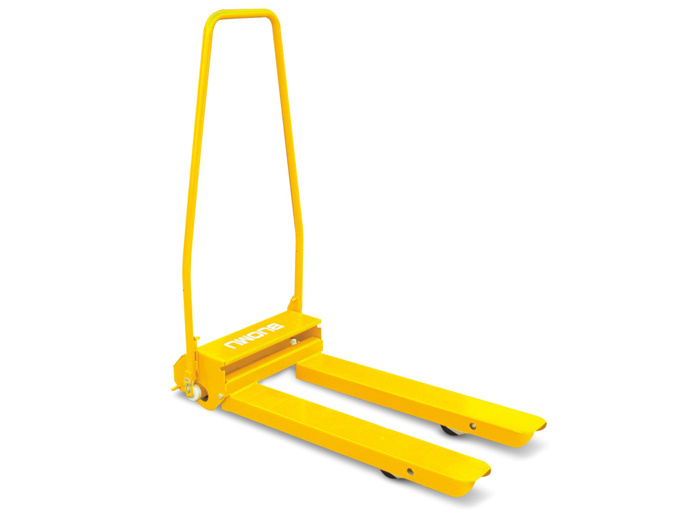 While using hand pallet truck, user should first make the pallet fork insert into the holes of pallet, and then control the hydraulic system to carry out material lifting up, dropping and transporting operation. SINOLIFT hand pallet truck is characterized by aesthetic appearance, easy operation and high durability. They are widely used to transport goods in logistics centers, warehouse, factories, hospitals, schools, supermarkets, airports, stadiums, stations, airports and some other places.